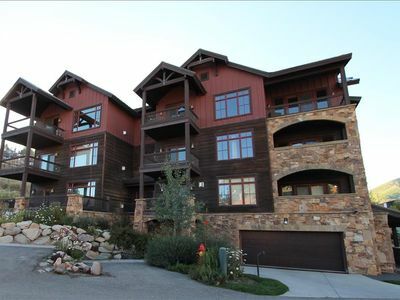 Enjoy world class skiing, riding, biking, and hiking from our spacious, 3 bedroom 3 bath town home. 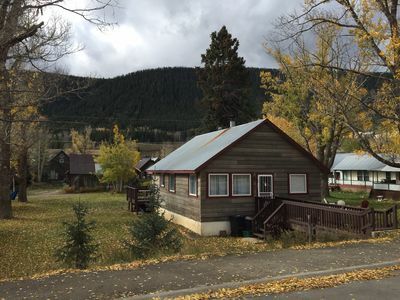 The unit is 1,450 square feet and located just 200 yards from Mt. 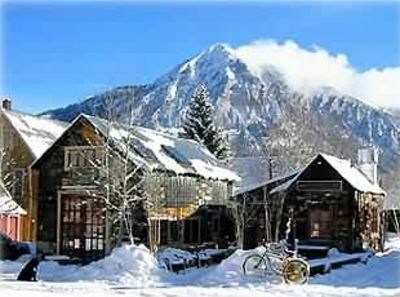 Crested Butte's base area and the Silver Queen lift. 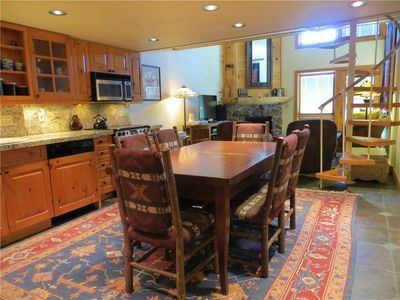 This convenient location allows for skiing in for a homemade lunch. 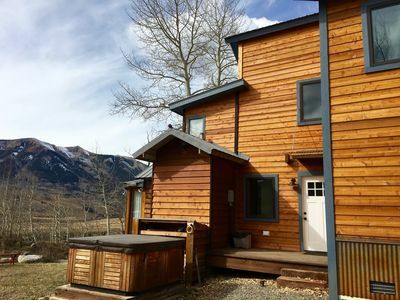 After a long day of exercise, enjoy soaking in the shared hot tub or the private jacuzzi tub in the Master Suite. 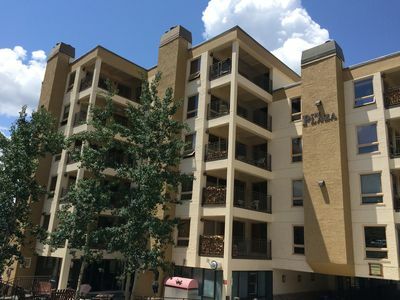 The entire complex received a new exterior, decks and railings the summer of 2015. 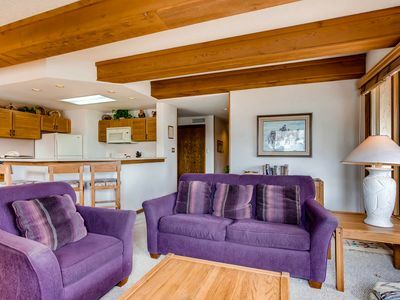 Enter into a spacious foyer including a large closet for coats and ski boots. 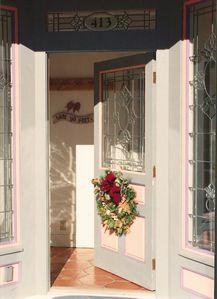 Both the Master Suite and the Guest Suite are located on this level. 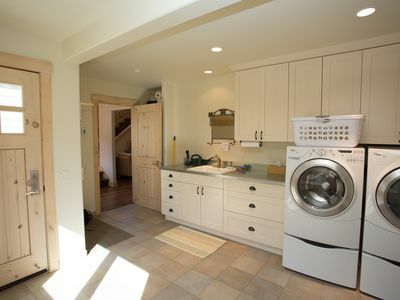 The Master Suite has a king bed, TV, private bath, and stackable washer/dryer. The Guest Suite has a queen bed and private bath. 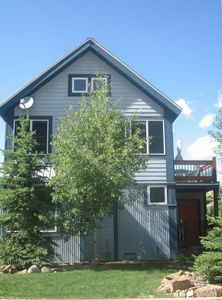 Upstairs is the spacious living room with a gas fireplace, TV and large south facing windows. 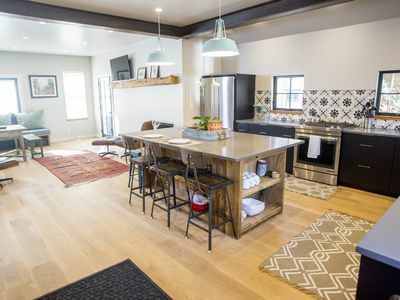 Enjoy cooking in this updated, eat in kitchen complete with gas cooktop. The kitchen is fully equipped to create great meals and memories with family and friends. 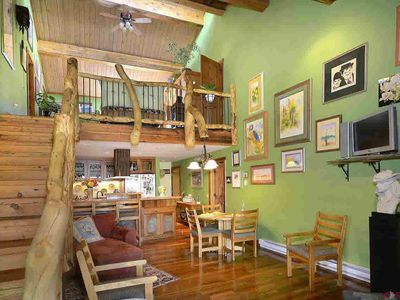 Upstairs also has a third full bath and bunk room. The bunk room includes 2 twin bunks and double bed with TV. Perfect set up for the kids! Two twin air matresses are supplied if additional sleeping is needed. If you prefer to eat out, walk the 200 yards to the base area or catch the free shuttle at the bottom of the driveway into town. 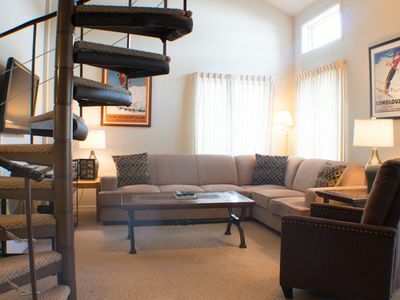 Our unit is very suitable for multiple couples and/or families. The location can't be beat. 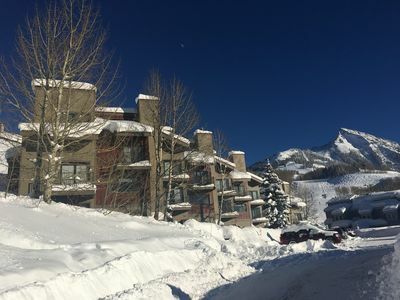 Being only 200 yards from the base area allows you to start your day with an early walk to Camp4Coffee, drop your kids at ski school, go tubing at night or enjoy apres ski and restaurants all within walking distance. No need to cross any streets to get to the mountain. 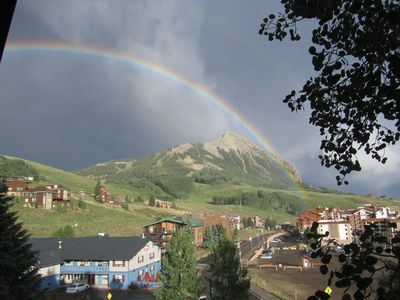 Come enjoy Crested Butte's small town charm, pristine surroundings, and majestic views. Whether you come for the classic bowl skiing, steep slopes, mountain biking the 401 trail, hiking, fishing, or enjoying the summer wildflowers, you will see why we fell in love with it here! Note: Summer of 2018 the hot tub is being replaced. As a result most of the summer the hot tub will not be operational. Payment Policy: If reservation is made more than 60 days before arrival, 50% is due at time of booking with balance due 60 days before arrival, at which point the reservation will become non-refundable. If you reservation is made within 60 days of arrival, the entire amount is due in full at time of booking and is non-refundable. Reservation cancellations made more than 60 days prior to arrival date will be refunded. Cancellations made after that point are non-refundable. All guests must sign a rental agreement. 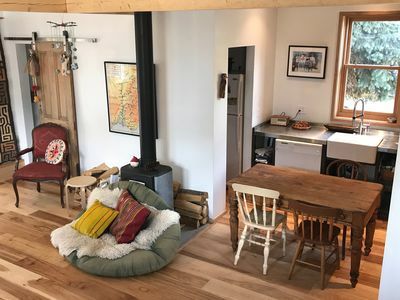 3+Loft, Sleeps 12! Walk to the Base Area! 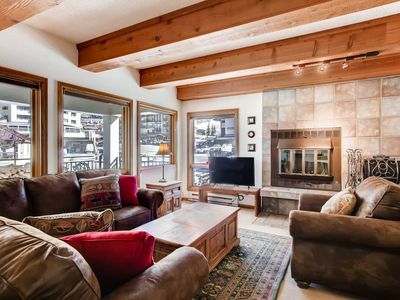 New Home, Best Location, Mountain Modern off Elk Ave. Close To Trails. Walking Distance to Everything! 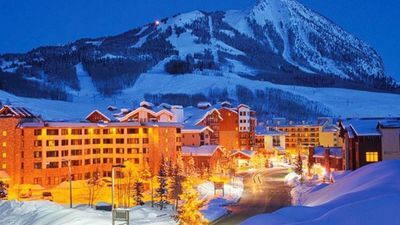 Hiking, Skiing, Biking & Great Food! 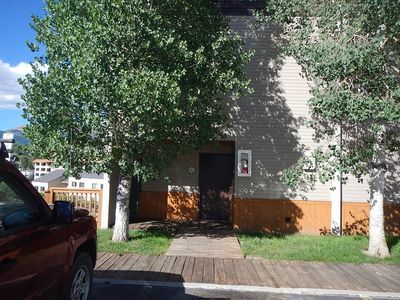 Ski lifts are just few steps away!! 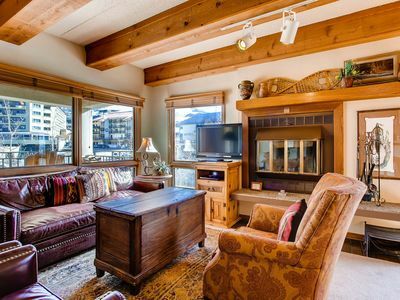 Gorgeous Corner One Bedroom at the Grand Lodge! Views!